Gwen Stefani is sending love to her boyfriend Blake Shelton on his 42nd birthday. The 48-year-old singer dedicated a post to the country star Monday after ringing in the occasion at an early celebration over the weekend. Stefani shared a black and white photo of "The Voice" coach on Instagram. The picture appeared to be hanging in her house, as walls and furniture can be seen in a reflection. "Happy b day @blakeshelton #iloveuthemost #yourmyfavorite gx," she captioned the post. Stefani had shared a video Saturday on Instagram Stories from Shelton's early birthday dinner with friends. The clip shows the couple's loved ones gathered around a table as Stefani sings "Happy Birthday" in the background. "B day weekend has begun!! 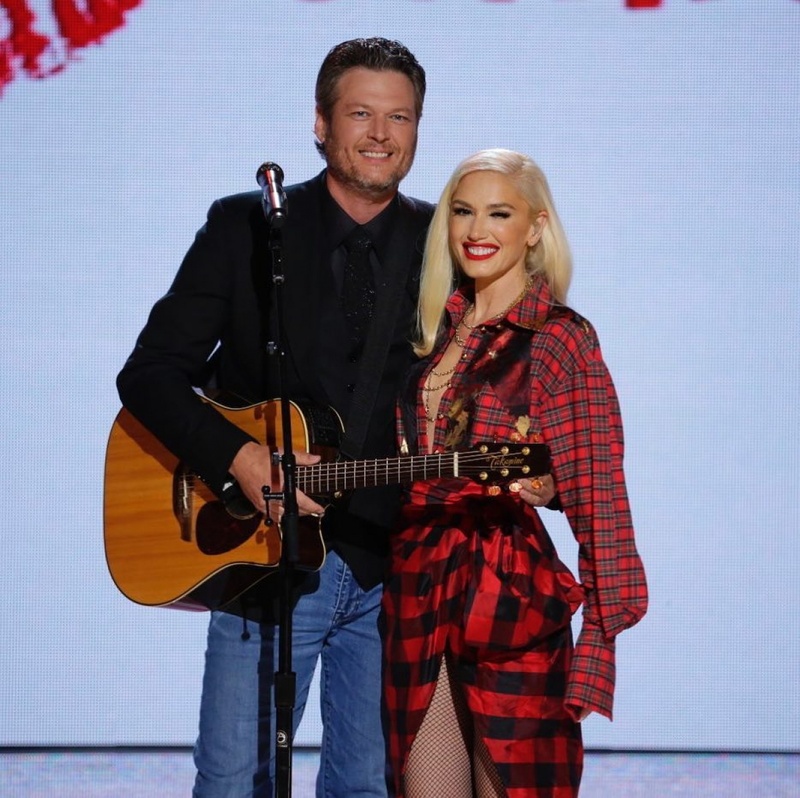 @blakeshelton," she captioned the post. Stefani and Shelton confirmed their relationship in November 2015 following their splits from their respective spouses, Gavin Rossdale and Miranda Lambert. Shelton discussed the possibility of marriage with CMT Cody in April. "I think about it. I don't think it's anytime soon or anything," the country star said. "The more time that goes by, I guess, the closer you'd be to getting to that."